Keep up to date with the news at System Sound as we install and manage sound on some of Australia and the Asia Pacific region’s most recognisable productions. Today we’re sad but proud to announce the close of our involvement supporting the world tour of Evita, led by star operator and head of department, Emily Adams, up and coming deputy, Anthony Craythorn and experienced and ever charming head of radios, Sally Hitchcock. The primary system was provided by Orbital Sound but engineered for Australia by Associate Designer Shelly Lee in conjunction with System Sound. Also a very special congratulations to our dear friend Tina Arena for an outstanding performance no one will forget. For one memorable night a year, the historic Queen Victoria Market is transformed into a theatre like no other - the famous fruit & veg stalls will make way for front stalls as Opera in the Market takes centre stage. The evening was hosted by Guy Noble and featured performers Teddy Tahu Rhodes, Taryn Fiebig, Milijana Nikolic, Rosario La Spina. Sound was mixed by our Kelvin Gedye and designed in collaboration with John Scandrett. Stage sound technician was Greg Blades. We trialed CQ-1 clusters this year for wider coverage with an expanded audience area and to great success. Despite the occasional truck passing the sheds actually have a great acoustic which the audience and performers alike enjoy! We’re very pleased to announce the 26th ongoing year of engineering The Hong Kong Philharmonic’s “Symphony Under The Stars” conducted by maestro Jaap van Zweden. Repertoire included Strauss’ Blue Danube Waltz, Wagner’s Ride of the Valkyries, a Haydn Trumpet Concerto, Vivaldi’s Concerto for Two Cellos and John Williams’ Star Wars Theme. With our sound team backstage, at front of house, monitoring the listening plane at up to 250 meters from stage during the performance, we ensure consistency using wireless remote control of distributed speaker systems. Tom Lee Music supplied the d&b audiotechnik based sound reinforcement system and Yamaha Rivage PM10 mixing console whilst System supplied a premium selection of Schoeps, Neumann, Sennheiser and DPA microphones . The 80+ piece orchestra was mixed using a bespoke zone spatialisation technique with a DME-64 preprogrammed specifically for this event by System Sound. Speakers for the system included d&b J-Array, V8 & V10 point source, Meyer UPA-1P and five rings of eight d&b audiotechnik M4 delay speakers, matrixed as stereo. The performance was operated by engineer Julian Spink. We’re excited to announce that School of Rock is now previewing and playing to packed houses - the countdown to opening night has begun! We are delighted to once again be working with Adam Fisher, Associate Designer of Sound on behalf of Sound Designer, Mick Potter. The design features his signature combination of Meyer Sound’s premium LEOPARD line arrays and 900LFC subs with MINA’s, MELODIE's and UPJ's, along with 112 D&B Audiotechnik delay and surround speakers providing a crystal clear but also rocking sound with high intelligibility of voice in all moments of the show. Our wireless system is a high quality combination of Sennheiser Transmitters and Receivers, and DPA’s 4066 boom mics for optimum gain before feedback and incomparable quality of audio. This is also thanks to the hard work of our extremely capable sound team which is comprised of the very experienced Simon Gregory as Head of Department, Deputy Natalie Riordan and Jess Frost in charge of radios. Our team has worked tirelessly through the production period to ensure all shows and rehearsals have been carried out with absolute precision and professionalism led by our supervisor, Shelly Lee and production sound technician David Letch. School of Rock premieres on the 9th of November. 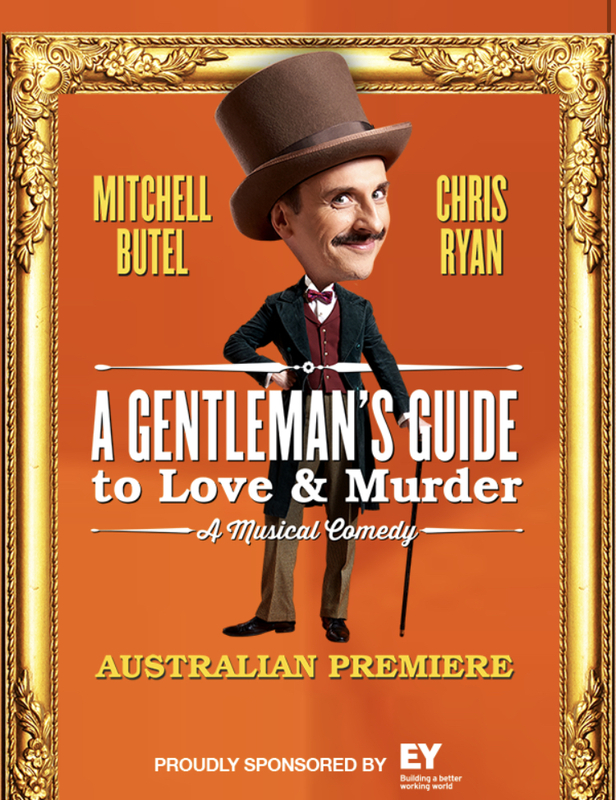 System Sound is proud to be part of The Production Company’s A Gentleman’s Guide To Love And Murder at The Art Center Melbourne’s Playhouse Theatre. This exciting and hilarious production is Directed by Rodger Hodgman, with Choreography by Dana Jolly and Set and Lighting designs by Christina Smith and Matt Scott and Sound Design by the System Sound team - Peter Grubb, John Scandrett and Kelvin Gedye. Sound operator is the talented Paul Tilley with stage sound technicians Carley Gagliardi and Jackson Scandrett. Our sound designers have chosen a PA system using KV2 Audio’s ESR215mkII with Meyer Sound’s M1-D Line Arrays and 600-HP subwoofers for a high definition sound. Our digital mixing platform is the SD10T by Digico and radio systems by Sennheiser with miniature microphones by DPA and Countryman. Our star cast features Mitchell Butel And Chris Ryan with supporting roles by Nancye Hayes, Alinta Chidzey and Genevieve Kingsford. Playing from the 27th of October to the 18th of November.